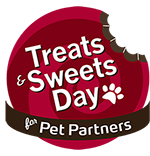 Templates and printables to help you create Treats & Sweets success from scratch! Invite guests to your bake sale or Treats & Sweets Day party with these invitation postcards. This table top sign and bunting decoration will brighten up your treat table. Just add some bright balloons and a vibrant table cloth and you will be attracting tons of sweet-toothed customers. Here is a printable donation receipt for your supporters who make donations to your efforts in person. Get fundraising tips with our Fundraising Guide.